On a romantic getaway to Iceland, a young American couple wake up one morning to discover every person on earth has disappeared. Their struggle to survive and to reconcile the mysterious event lead them to reconsider everything they know about themselves and the world. Bokeh is directed by Geoffrey Orthwein & Andrew Sullivan and was released on Mar 24th, 2017. 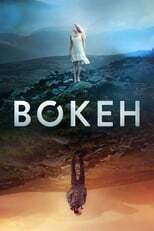 Director Geoffrey Orthwein(co-director), Andrew Sullivan(co-director)'s Drama & Science Fiction movie Bokeh is produced by Kansha Films & Zealous Pictures & was released 2017-03-24.